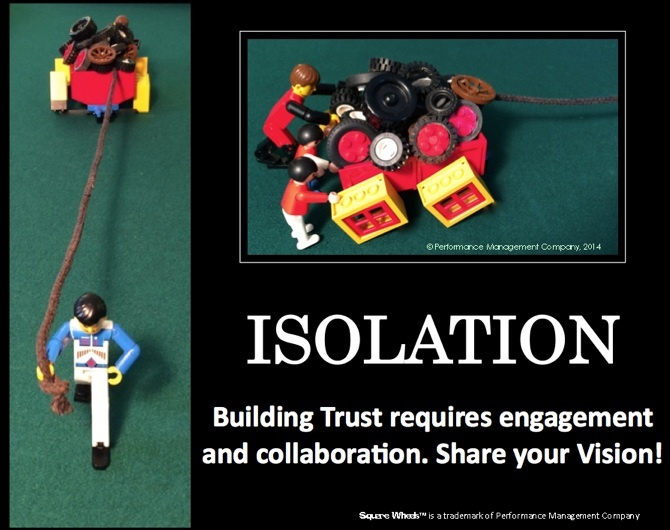 There are often issues of isolation in how things work in most organizations. Wagon pullers are naturally isolated from the hands-on reality of the wagon pushers, but some are also simply too distant and unconnected. When the rope is really long, communications are really difficult. Building trust is about communications and expectations. Building trust is about meeting your commitments. Building trust is about building teamwork and improving collaboration. And building trust is about sharing a vision about the journey itself. Here is a little poster you might like.